For what feels like the millionth time in the past couple of weeks, here’s another Disney-live action film update. Only this time, the news isn’t of typical glee-filled variety. By contrast, it will likely be met with puzzled expressions, furrowed brows and WTFs aplenty. 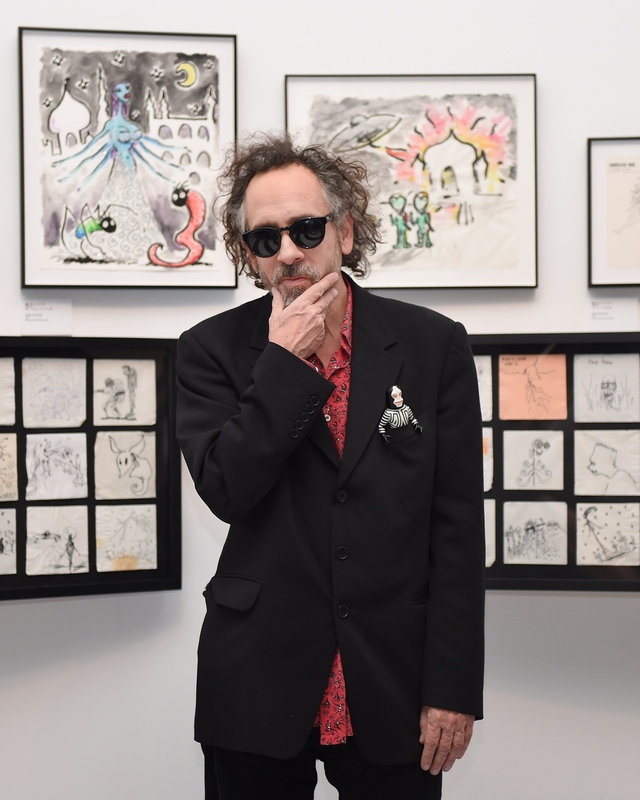 Per The Hollywood Reporter, Tim Burton will direct Disney's live-action Dumbo, and right about now is where you should start to experience the aforementioned side-effects of extreme bewilderment. To be fair, Burton and Disney have crossed cinematic paths in the past, and successfully so. The director’s take on Alice in Wonderland surpassed the billion-dollar mark, so despite any reservations about Burton taking on Dumbo, this formula just might shock everyone by working out in the end. But still, I’m not quick ready to loosen my grip on the uncertainty that Dumbo and Burton don’t seem like the most ideal matchup. My reservations are mostly due to Burton’s tendency to go super strange and dark. There’s just something off about his aesthetic being paired with a delicate baby elephant with oversized ears who learns to fly. Despite his heartbreaking plight, Dumbo was still super adorable and I just don’t know if anyone’s prepared to see him go all angsty emo. The original film is already depressing enough, but I don't want to feel like I need to get drunk afterwards. Hopefully, Burton doesn't transform Dumbo into a mere shadow of the elephant we've all come to know and love. The Hollywood Reporter pegged it as "a unique family story," while The Wall Street Journal referred to plans of the live-action Dumbo being "broader than the original tale." But just how unique are they planning to go with this? Burton is the king of pulling off eccentric and odd, but this twist concerns me. I mean, if you're gonna go to Burton-esque levels of movie weirdness, it just won't feel right without the standard Carter cameo. But since the Burton and Carter parted ways, odds are she won't be included. Still, their split was amicable, so you just never know.